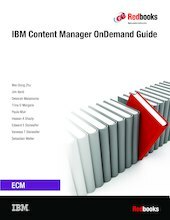 This IBM® Redbooks® publication provides a practical guide to the design, installation, configuration, and maintenance of IBM Content Manager OnDemand Version 9.5. Content Manager OnDemand manages the high-volume storage and retrieval of electronic statements and provides efficient enterprise report management. Content Manager OnDemand transforms formatted computer output and printed reports, such as statements and invoices, into electronic information for easy report management. Content Manager OnDemand helps eliminate costly, high-volume print output by capturing, indexing, archiving, and presenting electronic information for improved customer service. This publication covers the key areas of Content Manager OnDemand, some of which might not be known to the Content Manager OnDemand community or are misunderstood. The book covers various topics, including basic information in administration, database structure, storage management, and security. In addition, the book covers data indexing, loading, conversion, and expiration. Other topics include user exits, performance, retention management, records management, and many more. Because many other resources are available that address subjects on different platforms, this publication is not intended as a comprehensive guide for Content Manager OnDemand. Rather, it is intended to complement the existing Content Manager OnDemand documentation and provide insight into the issues that might be encountered in the setup and use of Content Manager OnDemand. This book is intended for individuals who need to design, install, configure, and maintain Content Manager OnDemand.